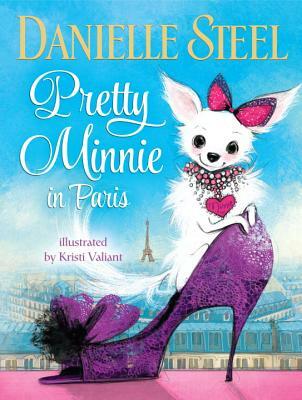 Inspired by the adorable adventures of bestselling author Danielle Steel's own Chihuahua, "Pretty Minnie in Paris" is the stylish, ooh la la tale of a fashionable Parisian pup out on the town. Lost backstage during a noisy, crowded fashion show, tiny Minnie is separated from her owner, the girl she loves best. Quel désastre! But chaos turns to couture when Minnie unexpectedly finds herself the star of the runway. With a dreamy Paris backdrop and an atelier full of adorable outfits, "Pretty Minnie in Paris" is sure to be in vogue as the season's must-have tale for little girls -- and Danielle Steel fans of all ages -- who love clothing, glamour, glitter, and all things à la mode.